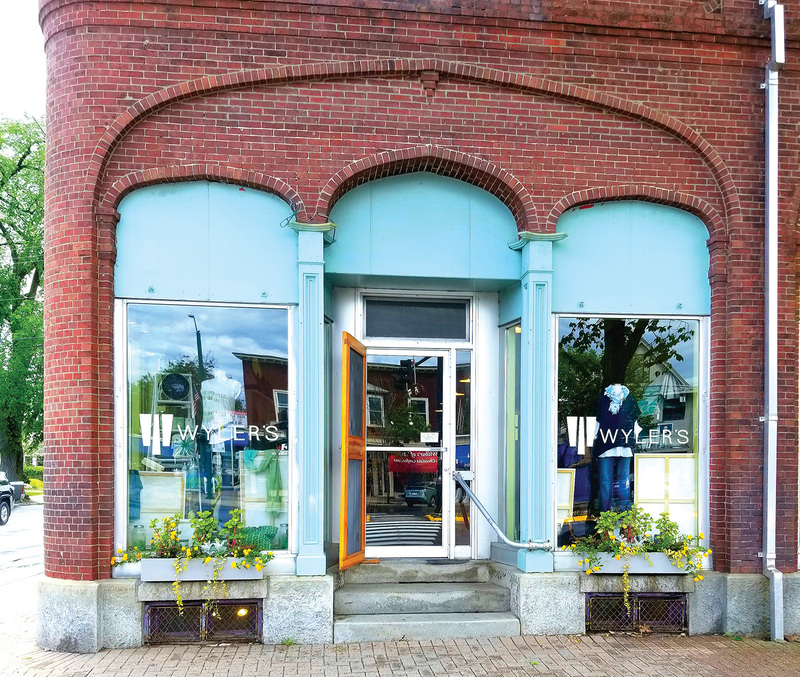 Nestled on the corner of Maine and Pleasant streets in Brunswick is an old brick building housing an edgy boutique called Wyler’s. The shop is filled with classic wardrobe staples, handmade jewelry, leather handbags and unique cards and toys. I’ve been visiting Wyler’s since it opened in 1991, when I was a teenager. As soon as you step inside, the wood floors creak under your feet (which pairs nicely with the funky music playing inside the store). 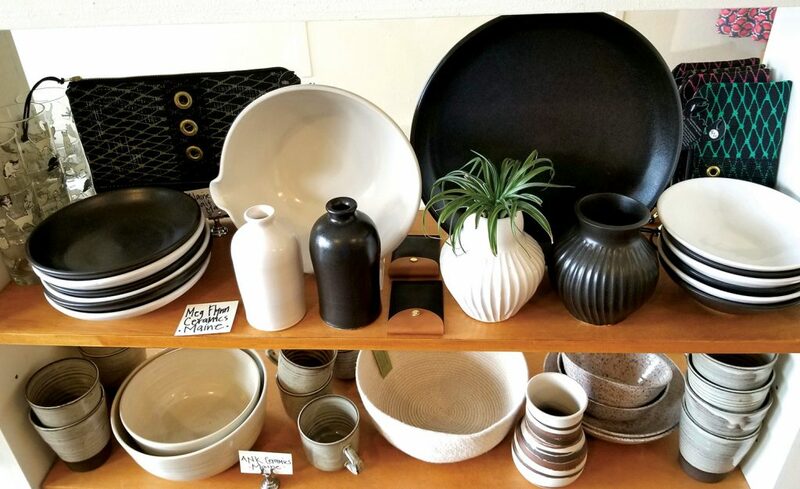 Wyler’s is definitely one of those places you visit knowing that you’ll find the perfect gift for a friend or relative, but you will totally come home with something for yourself, too. In fact, during my last visit, as I was trying on the perfect pair of jeans (more on that in a minute), I overheard a woman say to her friend, “I could get this one for my mom, then this one for myself,” as she was fanning her hands through silk scarves. Towards the back of the boutique sit large glass cases filled with one-of-a-kind jewelry crafted by over 30 mostly Maine artists coolly draped over stones and birch bark. A must-have is the Perfect Catch Cuff, made by Watts in Maine. It’s formed using the same tool used to measure lobsters. The gold cuff looks perfect with your favorite jeans and T-shirt but can also be worn with your favorite little black dress. Speaking of jeans, you can find the best-fitting jeans on the planet right here. National brand Kut from the Kloth makes jeans to fit every shape. They fit like a glove but move with you and hold their shape. No saggy bums in this denim. It is by far superior to any other brand I’ve tried—and under $100. 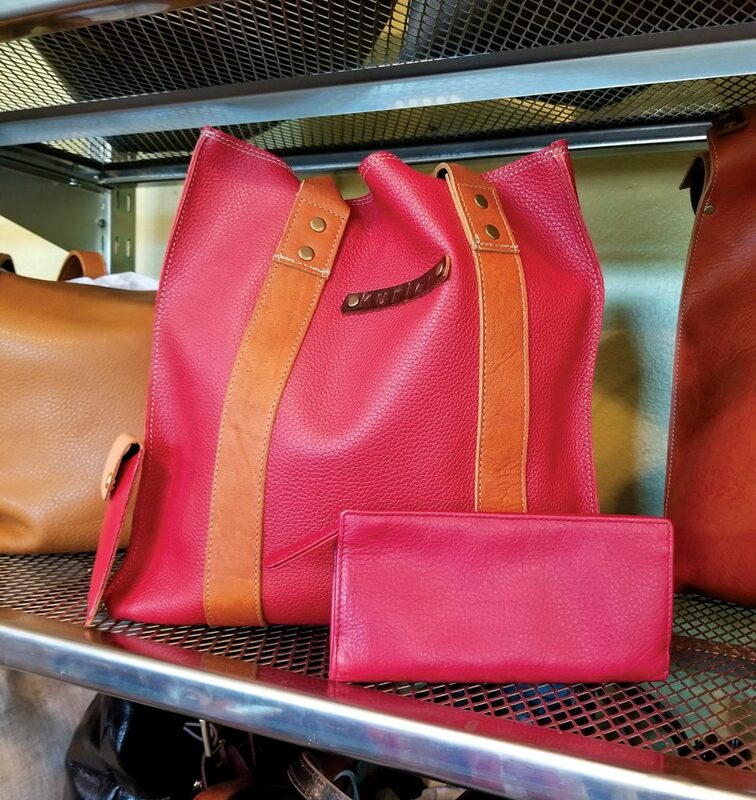 Kurier has a supple line of bags that are made in Maine using leather from the USA and Italy. They are designed and sewn one at a time. I love my red number and get stopped on the streets from women demanding to know where they can get one. Meghan Flynn’s timeless pieces of pottery caught my eye as soon as I walked in. Flynn makes every piece of pottery in Lincolnville. I decided I needed to start collecting her beautiful work. Next time you’re in the area, remember to stop into Wyler’s, support a local artist, try on some jeans or just walk through the two floors of goods—including an outlet section— and marvel at the beautiful building. Just make sure you also pop across the street and get some chocolate or a scone. The Wild Oats Bakery & Cafe, which is famous for fresh sandwiches, salads and baked goods, is right across the street, along with Wilbur’s of Maine Chocolate Confections. You can smell the deliciousness as soon as you step out of Wyler’s. Such a blessing since we all know how many calories we burn shopping. Katie Bingham-Smith is a writer, shoe addict and mother living in Bowdoinham. She pays her kids to rub her feet and never turns down anything with caffeine. Previous articleAugust Ditch The Couch!